12th Street Catering - has been working in the hospitality industry for over 33 years and with that brings a broad approach to food service. This West Philadelphia-based, woman-owned company has proudly owned and operated several successful restaurants, while also running a number of in-house food service operations for a select list of clients, including the University of Pennsylvania. 12th Street Catering has a central commissary from which it caters a wide range of events from intimate parties to a large events. Its staff of dedicated employees brings its experience from every discipline in the food service industry and an unparalleled level of innovation. 12th Street Catering’s buying power, innovative marketing programs, and creativity allows it to develop and structure inspired events on any budget. Using time-tested recipes and creativity, 12th Street Catering produces all ranges of morning, daytime and evening meals with great variety, and best-in-class service. DocuSense, a regional, woman-owned business serving the University of Pennsylvania for 25 years, is the University’s preferred Managed Print Services vendor. Under Penn MPS, Penn's schools and centers can automate their office equipment supplies and service with just one yearly purchase order. DocuSense and Penn MPS also provide document management software, fleet consulting, fleet financial reporting as well as supplies recycling/reporting. Penn MPS began operations in 2013 and in that first year, contracted over 30 departments/schools, managed approximately 10 million prints and eliminated over 400 individual purchase orders. Penn MPS delivers hard cost reduction for the schools and centers it serves of over $200,000 annually, while bringing certainty to budgets and freeing administrators from the burden of managing their equipment themselves. EMSCO Scientific Enterprises Inc ("EMSCO") - is among the longest operating local Minority Business Enterprises (MBE) serving the University of Pennsylvania. Founded in 1980 by Evalind Minor, an African-American woman, EMSCO began doing business with Penn in the early 1980’s. The company is located in the West Parkside section of West Philadelphia with 18,000 square feet of showroom and warehouse space. Over the decades of doing business with Penn, EMSCO has been a valued supplier of laboratory research supplies, protective clothing, laboratory equipment and other related products. The prominence of the Penn relationship has aided directly and indirectly to the growth of EMSCO over the years as it continues to expand nationally. Penn’s business has helped EMSCO acquire numerous reputable accounts, including leading pharmaceutical companies and universities. In addition to these customer relationships, the Penn relationship has facilitated meaningful business relationships and partnerships with major industry suppliers and leaders. EMSCO has recently restructured ownership, maintaining its local presence in West Philadelphia as well as its certified African-American owned status. The successful restructuring has resulted in seamless continuity of business, and has helped secure and increase local quality jobs and opportunities for years to come. Evolve Advisors, founded by a Wharton MBA, is a certified minority and woman-owned management consulting firm which provides comprehensive, innovative business solutions in the areas of strategic planning, business development, project management, and organizational design. Evolve works in partnership with its clients to assess baseline needs, and design custom business processes so that technology and human capital are leveraged in the most efficient and effective manner. Evolve aids its clients every step of the way to achieve their strategic objectives. Since 2014, Evolve has been engaged in a number of projects at Penn. Most notably, Evolve is providing project management services on a large, multi-year project focused on modernizing systems that manage student data in order to deliver efficient, user-friendly services. Since 2009, FASUR Technologies has been providing comprehensive on-site and remote IT services to Penn's Information Systems and Computing (ISC) Division. FASUR'S services and expertise span a variety of areas namely Enterprise Applications, Database Management, QA Testing, and Performance Testing. FASUR's renowned services and innovations have secured a diverse and prestigious clientele across a variety of industries that include higher education, finance and banking, E-Commerce, the U.S. federal government, software, and social media. Mia & Me Catering - is a local, African American-owned caterer that has been providing services to the University of Pennsylvania since 2012. Mia & Me Catering was largely discovered by Penn through the Enterprise Center and the Dorrance H. Hamilton Center for Culinary Enterprises. Owner and chef, Will Johnson, brings an insurmountable level of passion and creativity to every event. The ultimate goal of Mia & Me Catering is to provide every client with an event to remember. For this reason, each client is provided with exclusive attention to detail from start to finish. Mia & Me’s staff brings a wealth of knowledge from years of working in the food industry and enjoys providing exceptional service to all of its clients and guests. Neta Scientific Inc – Neta Scientific has been a reliable source and distributor of laboratory equipment and supplies for the University of Pennsylvania since 2007. Founded in 1999 by Garnetta and Winfred Sanders in Moorestown, NJ, the company is a certified MBE & WBE owned enterprise and is a registered Small Disadvantaged Business (SDB). As a distributor and channel partner for firms in various industries including: academia, government, pharmaceutical, as well as industrial and chemical markets, Neta is focused on providing the right scientific supplies for all laboratory research needs; and is committed to distributing and sourcing high quality products in a manner exceeding all expectations. As a distributor of laboratory scientific supplies, Neta ensures consistently high standards of storage, delivery, processing and ethical behavior by its supply partners and internal staff. In addition, the company supports special projects, and is flexible to meet the many different needs of the University of Pennsylvania. Telrose Corporation – In partnership with Office Depot, Telrose has been successfully serving the University’s office supplies needs since 2003. Starting as a three-person shop in West Philadelphia, Telrose has grown its business at Penn and expanded its customer reach to include several universities and corporations in the Philadelphia region. Telrose has since moved to a ten thousand square foot warehouse/office at 3801 Ridge Avenue in Philadelphia. Telrose Corp's annual sales revenue has grown to 10 million, and now employs nineteen team members, many of whom are local residents. Visual Sound Inc. - Visual Sound is a woman-owned business headquartered in Broomall, PA. Founded in 1967 by Wharton School graduate, John Bogosian, Visual Sound is a leading audiovisual solutions provider specializing in product sales, systems integration, audiovisual rental, staging, and event production. Visual Sound has fully staffed offices in Harrisburg, PA, Baltimore, MD, and on-campus at the University of Pennsylvania’s Irvine Auditorium. Visual Sound supports over 300 product lines, including audiovisual technology in classrooms, auditoriums, lecture halls, boardrooms, gymnasiums, huddle spaces, and much more. 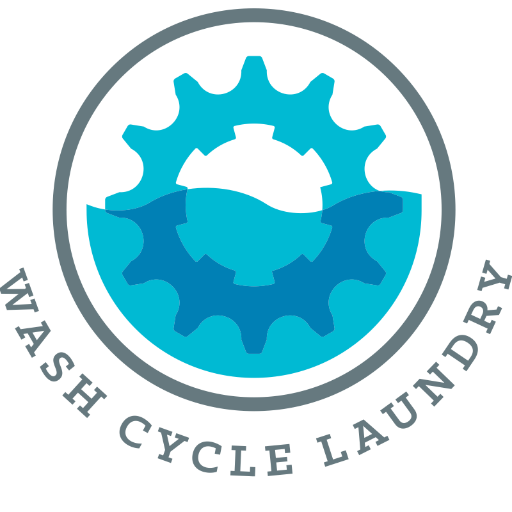 Wash Cycle Laundry, Inc. – Founded by Wharton graduate Gabriel Mandujano, Wash Cycle Laundry began doing business with Penn in 2011. WCL is a triple bottom line company specializing in green laundry services, notably performing laundry pickup and delivery by bicycle. Penn recognized that this is not only green, but a tremendously innovative way to serve urban laundry needs. Further, through its approach to hiring and people, WCL helps make a positive impact to those entering the work force from vulnerable circumstances -- over half of its employees were previously chronically unemployed, and over one-quarter have histories of incarceration. While its contributions to the community and the planet are compelling alone, its overall business value to the University has earned WCL preferred contract supplier status at Penn. Since its startup in Philadelphia in 2010, WCL has expanded its business significantly, now serving the metropolitan areas of Washington D.C. and Austin, Texas, and anticipates opening other markets opening soon.